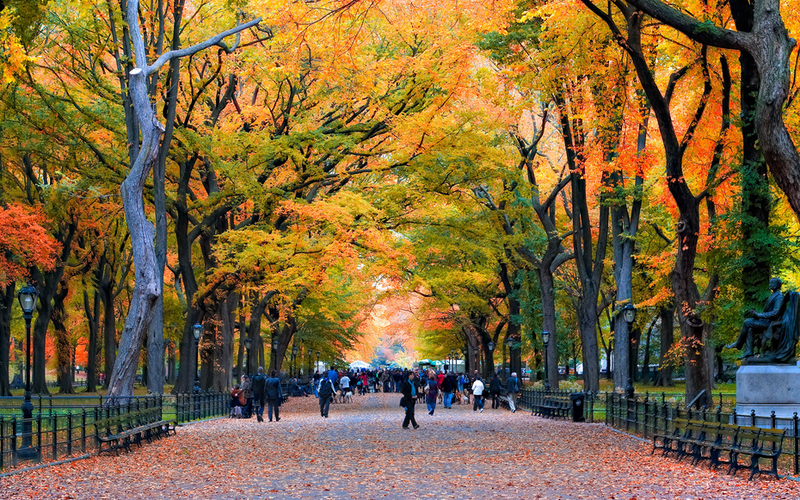 Articles > Visit > Embraced by Autumn: Where to go on mellow season? 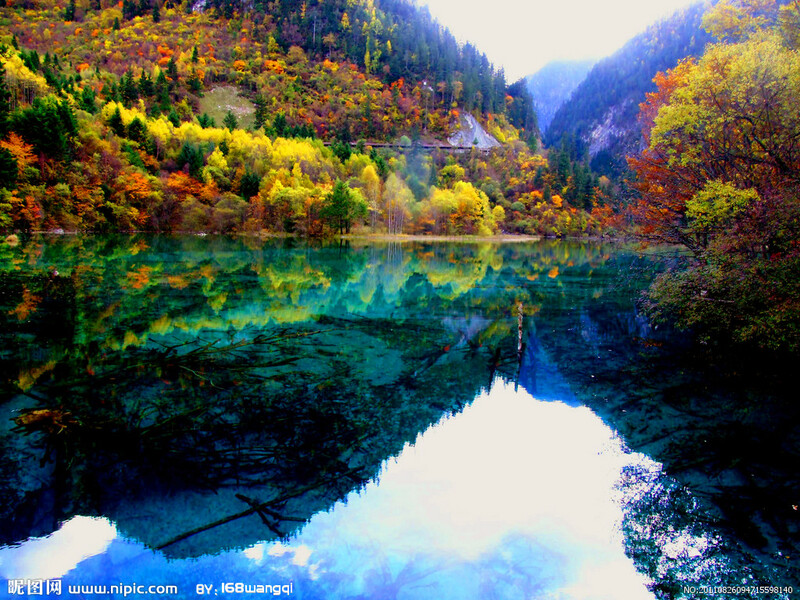 To watch leaves change shades, morning mist greet lakes and crimson landscapes steal all the spotlight in Chinese natural places and reserved: that's the charm of Jiuzhaigou and Zhangjiajie national parks, mystery of Xinjiang province and Yading Reserve. It means to go out of the box of urban everyday life visiting unusual plants, rare animals and majestic mountains. Weather in different regions of the country is multy-faceted: in November north gets wrapped in cold, it may snow in the mountains. In the south however it is warm and golden autumn is in full swing. Tropical destination point and main recreation area of the country is Hainan Island. When you get bored by snow-white and sky-blue sand and powers of your body get restored by health centers – become a witness of either burial or wedding ritual show. Islanders offer every willing one to hold wedding ceremonies in national outfits to the sounds of special folk songs. Next comes attending temples and striking tambourines to exorcise evil spirits and make the alliance as happy as possible. September and October are the best time to join crowds of those gazing at “red leaves” in Fragrant Hills Park nearby Beijin. A true miracle that the entire festival is dedicated to. Alongside ornate trees there are numerous routes and tracks with both culture and historic landmarks. In order to try beauty to its full, take a look at botanical gardens in Shanghai and Guangzhou with redolent fragrances of orchids at the foot of Baiyun Mountain. Meet a cocktail of well-landscaped scenery, burial complexes of Emperors and simply beautiful views without extra meaning to them. Where to Ride the Wave? To the shores, to love wind and sun, to combine yoga and surfing into a tandem by the power of beauties of Portugal, Philippines, Bali – and France is already there, all overgrown with surfing camps. If you are a newbie, don't just get to know philosophy of sportsmen but also introduce the word “spot” to your vocabulary in the meaning of a place were holders of sinewy shoulders and sun-tanned cheeks gather. Since we are talking about the start of mastering the sport, you should go to Lisboa – the city where numerous expeditions began from and where waves are slightly lower than skyscrapers. Tender white horses of the Atlantic ocean for breakfast, picturesque parks and park squares for dinner. 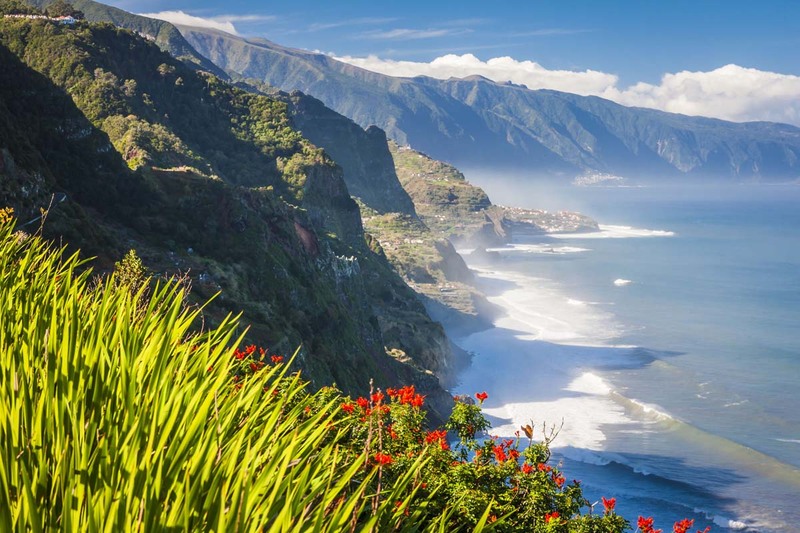 Portugal is also rich for secluded places, though – Madeira Island with its tastiest hot wheat bread “bolo do caco”; Sagres settlement where one can go in for diving and watch dolphins when tired from the board; Praia do Amado is one of the best places with ferine nature and amazing beaches. Filipinos would go to Siargao Island that roars by the world’s deepest Marianna Trench. The island itself is like a different universe with unseen nature and friendly mood. More than one lofty line has been written about Bali – beaches of the island expect you every second. In order not to go lands far far away yet find some fairy-tale moments, it is worth to fly to Finland. Do you remember commandments of Moomintroll? “Drink juice and think about something pleasant every day”? That’s how you should operate in the motherland of Tove Jansson. Island park named after the main character of the book, loved by many, is some sort of an answer to Disneyland. Only you plunge into lives of Moominmamma and Moominpappa: magic everyday life of theatre performances, tea drinking in wooden houses and riding roller-coasters. Other episodes of fairy tales are to be caught in nature: among purest lakes, brooks and green forests. One of such parks is Isopuisto, it reflects British motives: neat bushes in the shape of animals and plants, lawns and stone-paved pathways. And thousands of kinds of flowers gathered in warm lands are essential there, too. Artificial taming of water occurred in the place of a former waterfall. Imatrankoski has grown there recently – it is a dam where raving streams of water rushes from the height of two dozen meters to the sounds of musical compositions and light show. Daredevils do their share, too: having seized a rope, they float in free-air conditions above the current. And come back to the country in April – it will greet you with the beauty of polar lights. Participants of this sand event currently look through pictures from the scene and exchange impressions already. But very recently proud winds of Nevada State hosted extraordinary hearts during Burning Man Festival. It begins by catching last days of August and continues through the first week of September. It is important to decide for yourself if you want to go to the depth of the desert, manage to book a ticket on the official web site and purchase protective glasses. Everyone there live both in compliance and outside the rules: orchestrators have gotten across 10 commandments of the spirit of the event – without restricting conduct of the guests like in an iron box. The idea is to express own urges through independent art, performances and own presence in a pristine nook of the world. 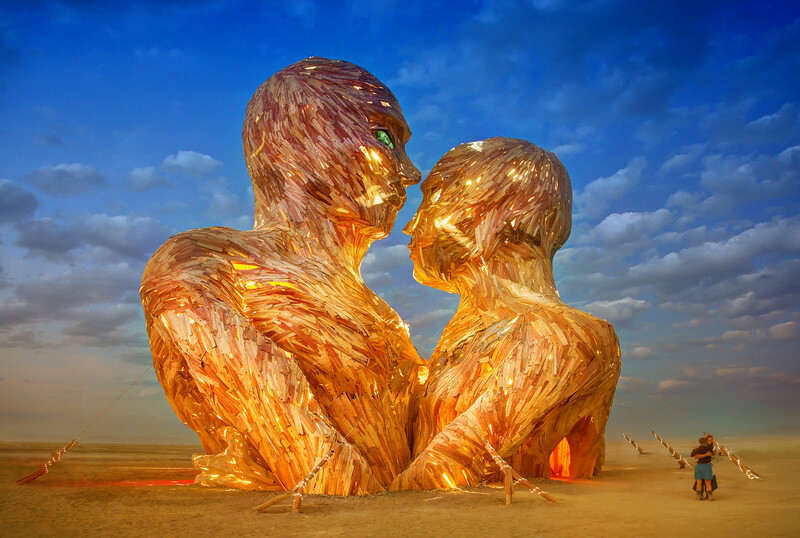 Sculptor from Odessa Alexander Milov set his foot on the land of the Black Rock desert (where the event takes place) last year together with his creation “Love”: feelings got located among guests of the festivity. Two metallic shapes of a man and a woman sitting with their backs to each other, inside the two images there were two kids leaning towards each other. Is it a story of relations between humans? Or a metaphor about relations between countries and nations? Reflections can be endless and that’s the beauty of it. There is a little less than a year left till the next event but one can already start preparing a costume and get engaged in opening a visa. This is the country that dedicates more than sufficient attention to memories about the deceased and possesses offhand views regarding the case. In first days of November a famous holiday, the Day of the Dead, dedicated to departed souls, takes places. 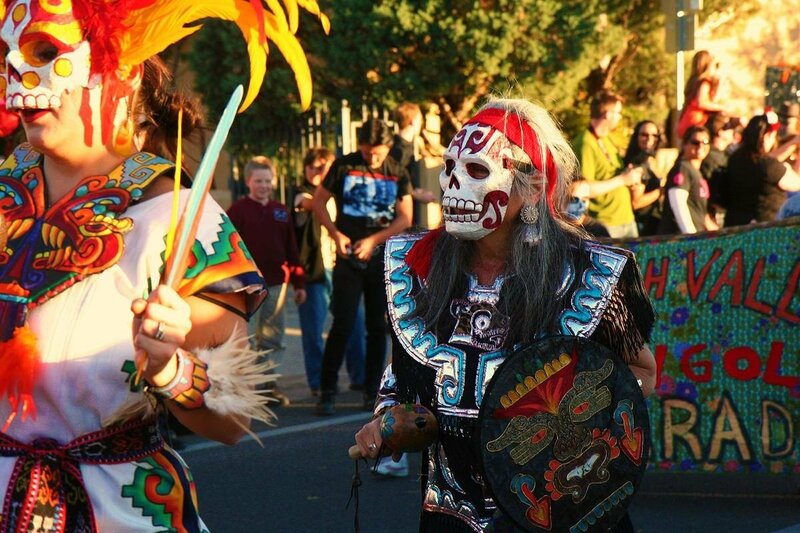 This event that is accompanied with a carnival, sweets in the shape of skulls and Catrina skeleton figures. Entire ritual attracts attention and inspires more than one artist: Tim Burton visualized characters in his animation Corpse Bride, Ray Bradbury worked with word in his creation The Halloween Tree. But Mexicans don’t halt at that – the Bridge to Paradise Cemetery is based on Gregorian calendar: a hill of seven levels (days of the week), number of graves corresponds with the number of days in a year. Those tombs are bound to be bright and diverse: in shapes of cars, cathedrals and beds with pillows. This is a relatively young spot, its history takes roots in 1984. In the days of the festival the cemetery becomes one of the most popular places. However, introduction to non-traditional, as for Europeans, views on the afterlife isn’t the only reason to visit heritage of ancient states of Maya and Aztecs. Even more so with November being as if made for such a trip: drought hasn’t arrived yet and showers are already gone; waters of the Pacific Ocean are of comfortable temperature, night life in Acapulco is in full swing. Also, ancient dwellings of ancient tribes amidst the jungles await guests to show them mysterious temples and palaces. This is what towns Chichen Itza and Teotihuacan with the Pyramid of the Moon and the Pyramid of the Sun are about. And the most guileful and spacious of all, Palenque, is surrounded with toucans with bright beaks on one side and monkeys on the other. Get acquainted with ancient history, and Mexico will rock your perception of this world!